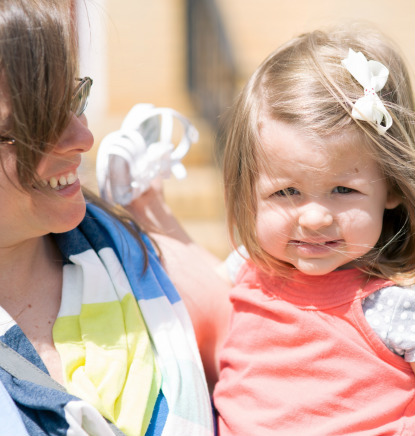 At First Christian Church, we value the safety of our children. In order to ensure their safety and your peace of mind, we have implemented a secure, but quick and easy check-in/out process. This system is called KidCheck. 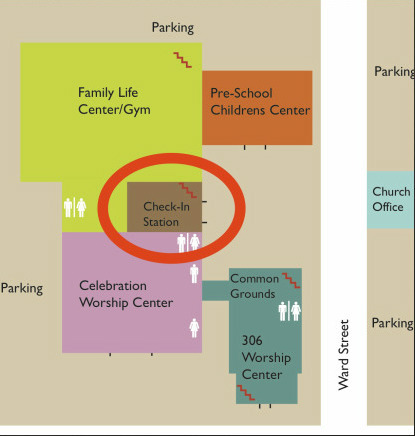 KidCheck takes place in our Family Life Center, which is located through the main double glass doors. After providing some basic information at the check-in table, you'll receive a personalized sticker for your child to wear. You will keep a copy as well; this ensures that you will be the only one who can pick up your child. You will need to return your copy of the sticker during the checkout process. If you'd like to speed up your on-site check-in, please feel free to pre-register by clicking here.